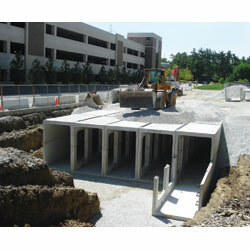 StormTrap specializes in providing storm water solutions and products for underground management and runoff treatment, including storm water detention and retention products and storm water harvesting and treatment applications. Its modular designs allow for customized systems to meet specific project needs. The design team works with companies to create solutions.